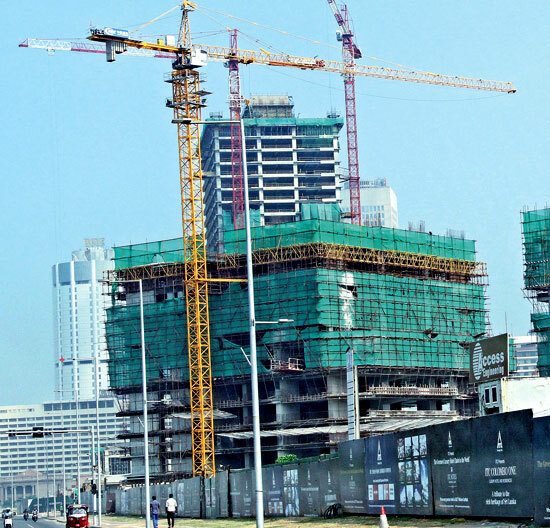 Construction work on the 500-room Shangri-La Hotel in Colombo built by the Hong Kong-based Shangri La Group is in progress after its ground-breaking ceremony in February 2012. The proposed Economic and Technical Cooperation Agreement (ETCA) will not impact the local fishing industry, Fisheries and Aquatic Resources Development Minister, Mahinda Amaraweera told Sunday Observer Business. “However, we are vigilant to see that there are no loopholes in the agreement which might affect the fishery industry. Petroleum gas is available in two of the four blocks which have been explored in the Mannar basin, Petroleum and Petroleum Gas Minister, Chandima Weerakkody said. Sri Lankans can use their own petroleum gas within the next five years, he said. Sri Lanka still lacks major technologically-driven firms to increase export turnover and move towards the target of a US $ 100 billion economy, Managing Director and CEO, Lanka Harness Company (Pvt) Ltd., Rohan Pallewatta told Sunday Observe Business. He stressed the importance of achieving a US $ 100 billion economy if the country is to attract large foreign direct investments. As large quantities of vegetables are being received by the Dambulla Economic Centre, the prices of vegetables may drop further, an official at the centre said. The prices of beetroot, potatoes, carrots, capsicum chillies, onions, chillies, cabbage, onions and manioc have come down. According to him, the prices of most vegetables may drop by about 50 percent.